What this book aims to achieve is to stress, contrary to conventional belief, the striking similarity of expression and the unity of approach in the Holy Texts of the major religions of the world, separated by centuries. 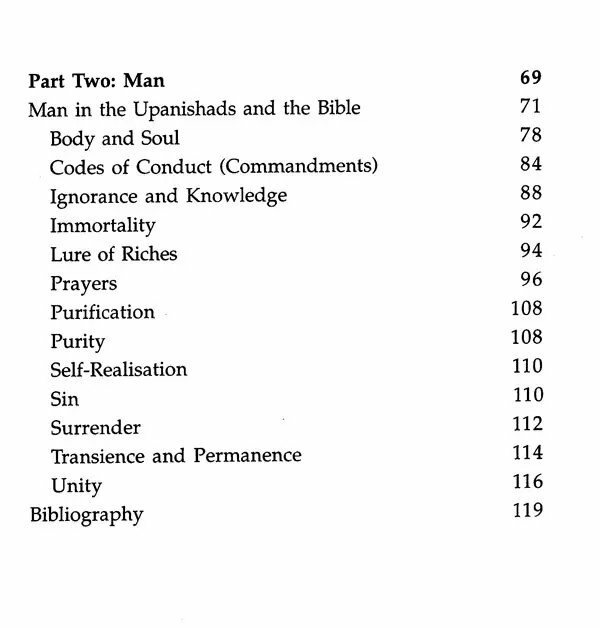 On the major issues concerning God and Man, passages have been presented from the Upanishads and the Bible, side by side so that even the cursory reader can appreciated the identity of thought and expression in the two scriptures. 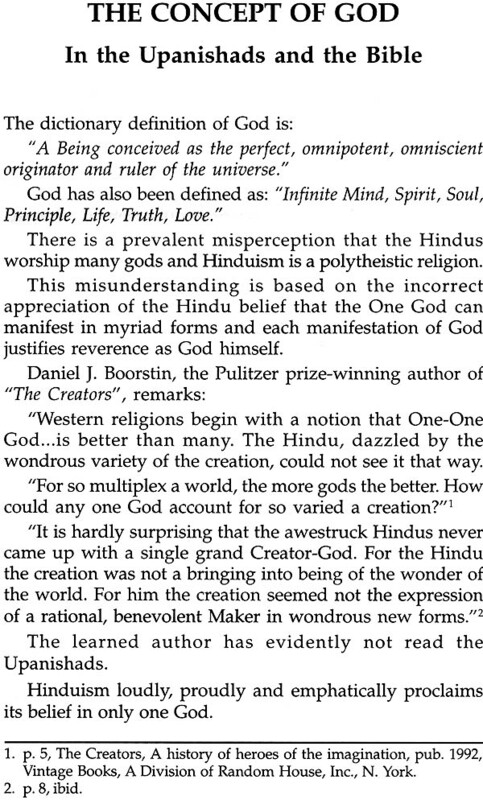 The Upanishads and the Bible dispels the prevalent misconception that Hinduism is a polytheistic religion. The Upanishads not only proclaim that there is only one God, but also stress the omnipresence and immanence of God, reminding us of the famous words of Jesus Christ that : "The kingdom of God is within you." 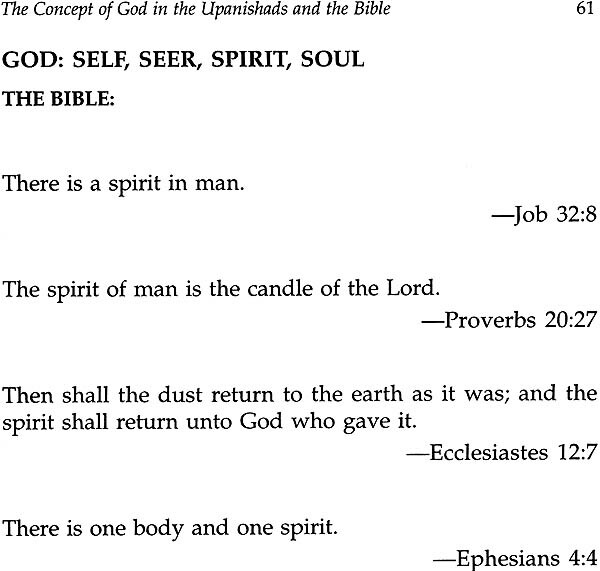 As the passages quoted in the book illustrate, both the Upanishads and the Bible sing the praises of God, the bountiful Creator, God, the eternal, the glorious, the inscrutable, the omnipotent, omniscient, Supreme One, who is spirit, seer, self, soul as also the truth and the Word. They also offer similar guidelines for prayer, purification and God-realization. In a world torn by strife based on religion and creed, this book stresses the unity of approach in man's search of the spirit, in the two major religions of the world. 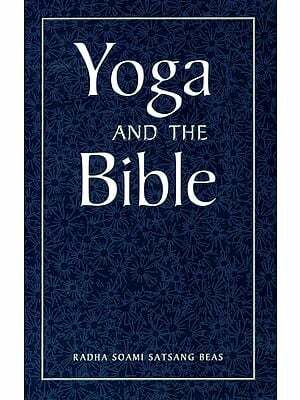 The Upanishads and the Bible would be a valuable asset to all students of comparative religion. Vadakayamdom Krishna Iyer Subramanian (b. 1930, Kerala, India) is an eminent scholar. Whose life mission is to present to the world the treasures of ancient India, in the fields of art, literature, philosophy and religion. These include: Saundaryalahari, Sivanandalahari, Sacred Songs of India, Maxims of Chanakya and Sri Rudraprasna. Subramanian's prolific literary output covers a variety of subjects ranging from astrology to art. He has been an astropalmic counselor for over 35 years. Subramanian who has traveled extensively in India, now live in the United States of America. 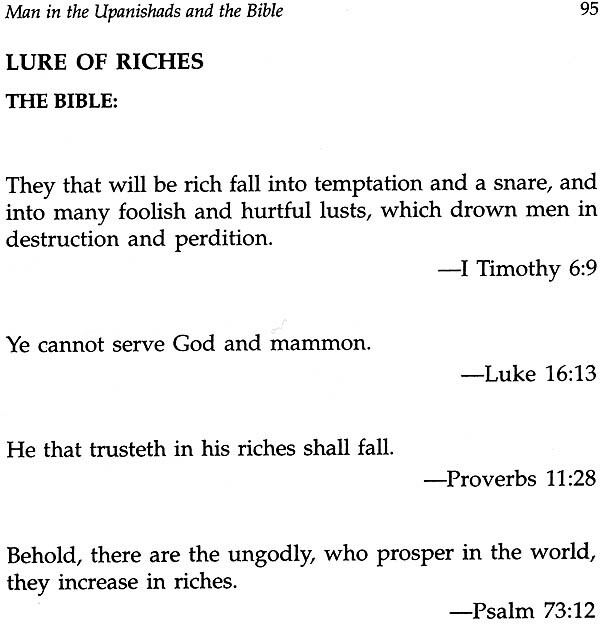 "Men turn to various religions to solve mysteries of the human condition, which today, as in earlier times, burden people's hearts: the nature of man, the meaning and purpose of life, good and evil, the origin and purpose of suffering, the way to true happiness; death; judgement and retribution after death; and finally, the ultimate ineffable mystery which is the origin and destiny of our existence. "In Hinduism, men explore the divine mystery and express it through an endless bounty of myths and through penetrating philosophical insight. They seek freedom from the anguish of our human condition, either by way of the ascetic life, profound meditation, or by taking refuge in God with love and trust." and one has to read it to understand the cardinal Christian doctrines which shed light on the various mysteries listed by Pope John Paul II to be solved by religions. The question arises as to what holy text should be studied to understand the facets of Hinduism, so beautifully highlighted by Pope John Paul II. The most ancient texts of Hinduism are the Vedas or Books of Knowledge (composed between 600 B.C. and 2500 B.C. in the Sanskrit language), which were passed on from generation to generation over a period of three thousand years, through oral transmission. As Mr. A.c. Bose remarks in his book, Hymns from the Vedas: "The rise and fall of political powers, external invasion, and internal strife, change of language, racial admixture, and the conflict of sects and creeds could not impede this oral tradition." Each of the four Vedas is divided into two parts: Karmakanda, the one relating to work or duty and the other Jnanakanda, the part dealing with knowledge. The parts of the Vedas dealing with knowledge are called Upanishads. Since they constitute the end portions of the Vedas, they are also called Vedanta. 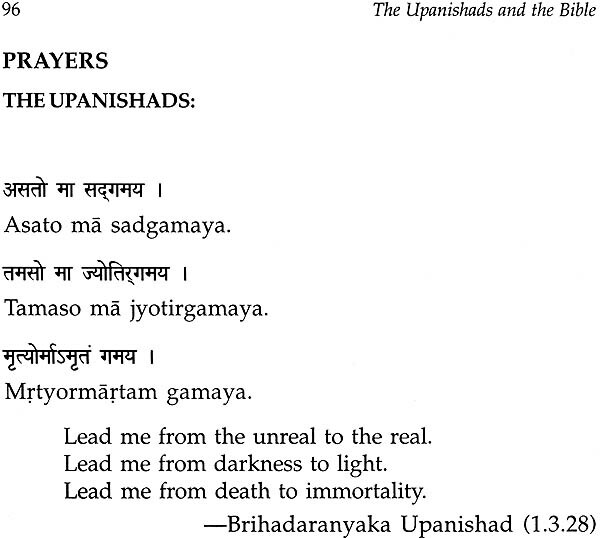 The term Upanishad is derived from the etymology: Upa + ni + sad, which means "to sit near", implying the disciple's sitting near the teacher, for proper learning of the doctrines taught (orally) by him. 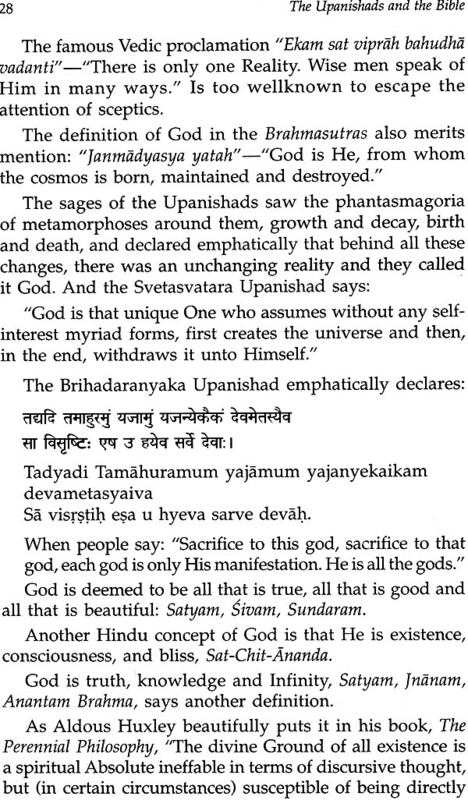 Sankara, the philosopher who lived in the 9th century A.D., gives a different etymology for the word Upanishad. He derives it from the word Shad, which means: to destroy. 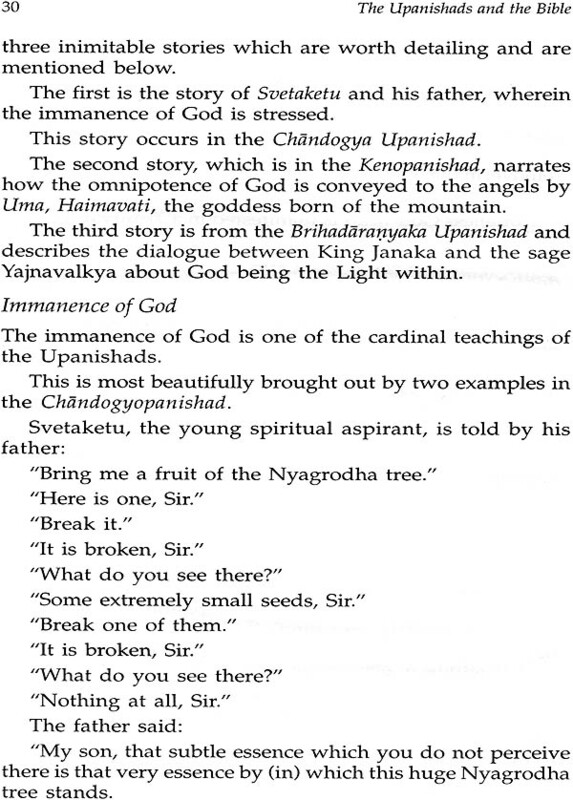 Thus Upanishad is the esoteric teaching which destroys avidya or ignorance. 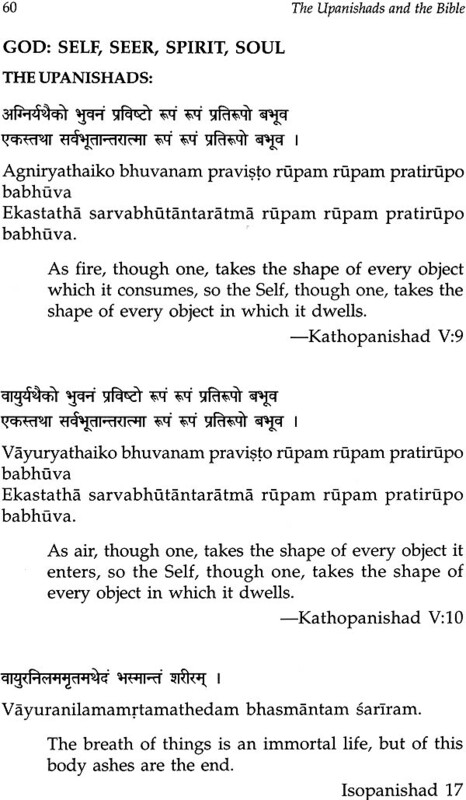 Learned scholars refer to a triad of authoritative texts, Prasthana trayi, as it is mentioned in Sanskrit, as the most crucial in the study of the basic tenets of Hinduism. 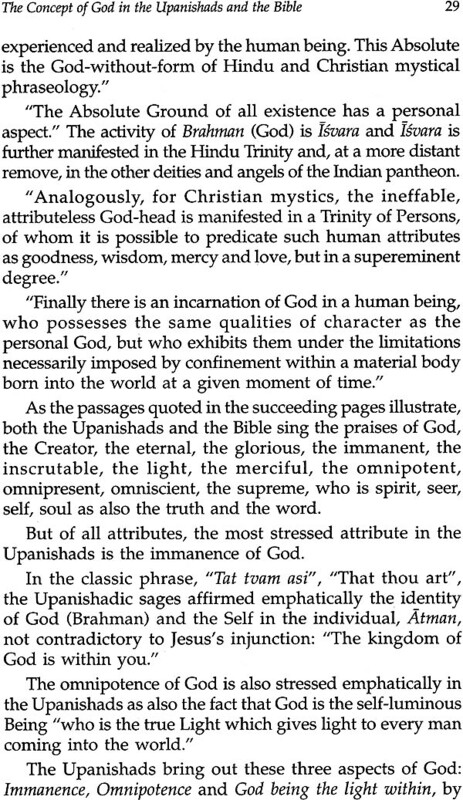 This triad of texts comprises the Upanishads, the Brahmasutras and the Bhagavat Gita.